Rate this Article Turning on your “creative mode” is not as easy as simply flipping a switch, but somehow, there’s a particular type of game genre that has a very good success rate at inspiring creativity in its players. These games are called “Sandbox games”. Creativity is a pretty fickle thing. It comes and goes as it wishes and is very much like its sibling, Inspiration, in terms of their “personalities”.... well, they do go hand-in-hand after all. Turning on your “creative mode” is not as easy as simply flipping a switch, but somehow, there’s a particular type of game genre that might be able to help. This game genre has a very good success rate at inspiring creativity in its players and they are called “Sandbox games”. Sandbox games are games that allow you to utilize the tools and materials they offer to create virtual items or structures of your own. Players will be able to roam the virtual world freely and decide how they want to approach the available contents in the game. The amount of freedom provided in this type of games is the key to inspiring creativity. Without any constraints and with quite loose boundaries, you’ll be able to create anything you can imagine, be it magnificent castle or a massive model of your favorite spaceship in Star Wars, the Millennium Falcon. It’s like handing a person an empty canvas and a set of paints – leave them with the stuff for awhile and you’ll start to see the magic of creativity creep steadily onto the canvas, gradually transforming it into something that the painter can be proud of. Sandbox games are also an excellent outlet for your creativity, because the tools they provide are usually very easily to learn and use. Using the same example, if you hand that same person, who happens to be completely hopeless at anything computer related, a digital canvas and Photoshop (with no tutorials) to create his work, you can pretty much expect him to simply give up after a couple of hours. This is something most sandbox games understand very well, with the exception of the game, Trove, due to the fact that the game doubles as an MMORPG as well. For instance, in Minecraft’s creative mode, you’ll have unlimited amount of resources to literally bring your imagination to virtual life. The same goes for other popular sandbox games like Roblox and Kogama. The ease at which a person can channel their creativity will in turn inspire someone to actually be creative... and this is exactly why sandbox games are perfect for your creative well-being. Some sandbox-based virtual world games, like Roblox and Kogama, often provide a section in the game where you can browse through the works of various other players. Some gamers, especially Minecraft players, even capture 360 degree video footages of their masterpieces and put them up on popular video hosting sites like YouTube. So, if you’re stuck in any creative endeavor, simply hop into a sandbox game, check out what other people have been producing, draw some inspiration to unclog your brain pipes and you’ll start to get your creative juices flowing. 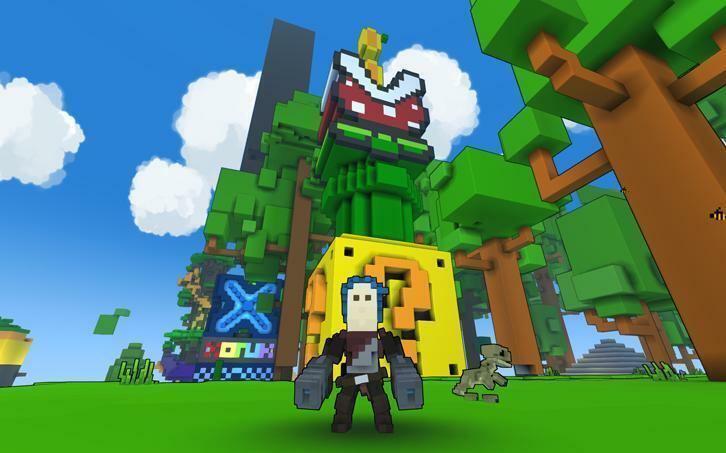 To recap, by providing almost absolute freedom and ease in creating, crafting and building anything their players want, sandbox games have shown time and time again that they are able to turn on that creative switch on their players. The amazing works of art the creative community surrounding these games has created are also important in helping you gain the inspiration you need to become creative. So, if you happen to find yourself running low on creativity, you might be able to recharge your supply by hopping into a sandbox game and start coaxing out your bottled-up creativity!